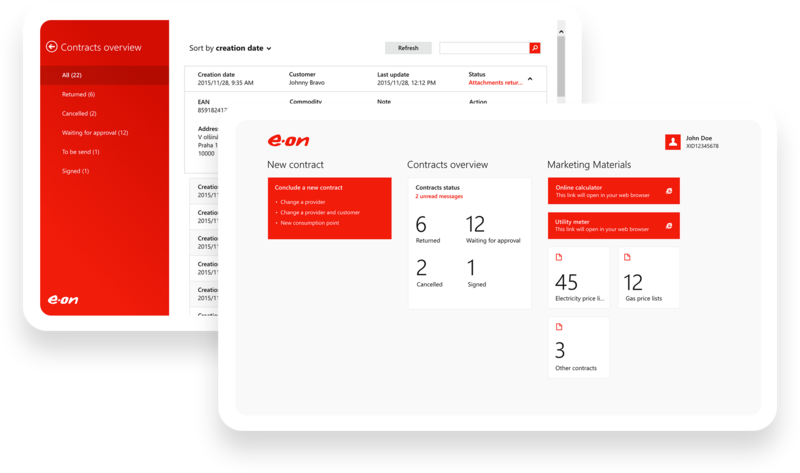 Fully electronic Contract Management for E.ON Energie. It consists of the required D2D application, web application and a suitable back office portal. 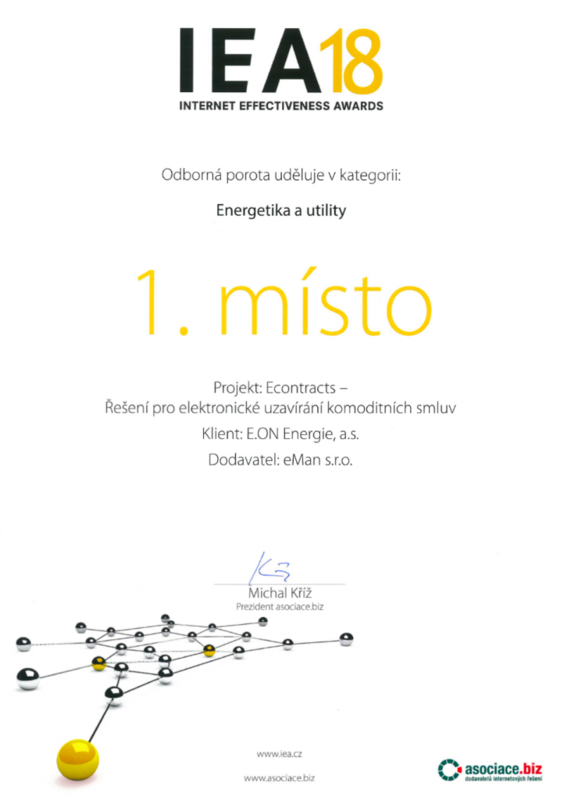 E.ON Energie is a joint-stock company and one of the major players on the Czech energy market that also coordinates the business activities of the E.ON group in the Czech Republic. Among its core values is offering top quality services to its clients, to whom E.ON Energie provides natural gas and electricity. A D2D (Door to Door) mobile app that will run on tablets of D2D salesmen. This sales platform is for concluding contracts between the company and its clients. It uses dynamic biometric signatures for validation. Web application for the end client who wants to conclude a contract with the company. The whole process is self-serviced and the final step is to confirm the contract by electronic means. We faced a lot of challenges while working on this project. We had to account for all legal aspects of such a solution and defend the final result at E.ON Energie. There were also technical difficulties when implementing the solution for Widows. Its mobile use has some imperfections, such as not being able to run in the background or in stand-by mode. The final stage was one of the most difficult parts of the project; the actual integration of electronic processes into the company’s current systems. So we had to overcome structural as well as purely technical challenges. We created fully electronic Contract Management and implemented it into their production’s operations. 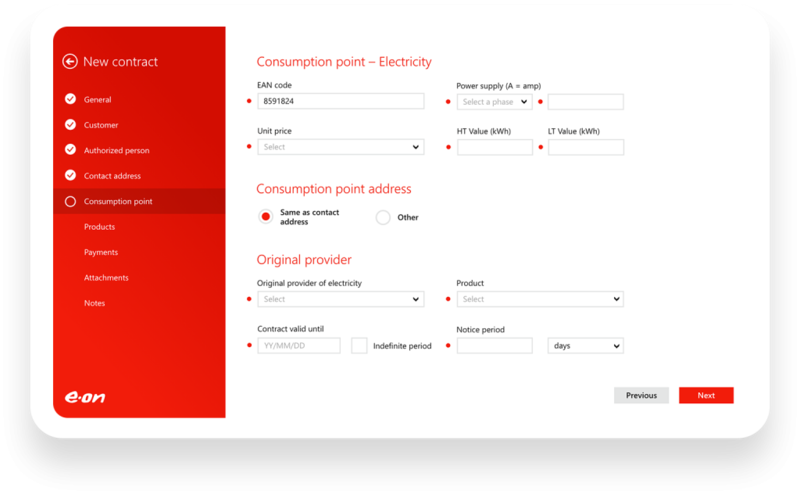 It’s the first contract digitalization project for E.ON Energie. It consists of the required D2D application, web application and a suitable back office portal. The web app is a reactive application, which means that only the changed parts of the app are redesigned. It runs in the client’s browser and all communication to and from the back-end system is managed via an API. It’s a single-page application implemented in an innovative React.JS framework. New functions will be added over time, mainly concerning the identity verification method. In general, we aim to modify the app in a way that the conclusion of a contract becomes as easy for the client as possible. 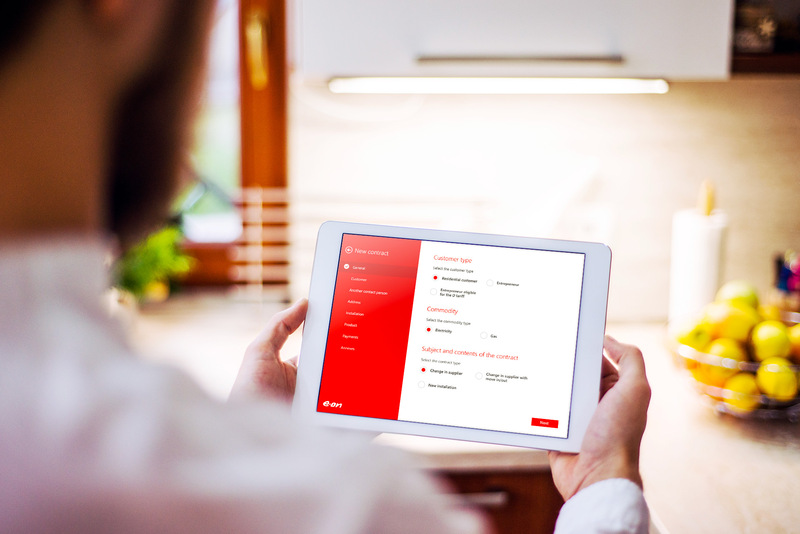 A unique part of this project was designing the solution for signatures in the apps. We successfully defended and implemented the dynamic biometric signatures to the D2D mobile app. For the web interface, we merged the legal and technical means for electronic signatures that we implemented into the production environment. 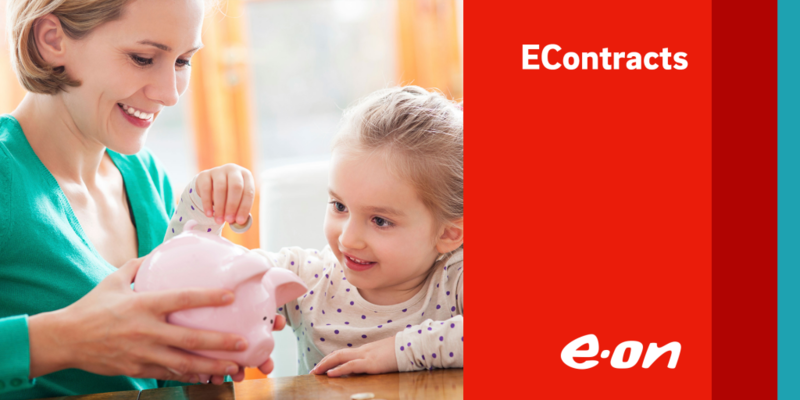 Even though this project was the first of its kind for E.ON Energie, it achieved great results. It substantially reduced the time necessary for concluding new contracts (the time necessary from a client’s signature to delivery of the signed paper form). Implementing this solution cut the time needed from three weeks to three days. The solution does not require any paper and its implementation started the shift from paper to electronic processes. Making the processes quite more efficient reduced the overall costs of the back office and the costs of printing and distribution of paper forms, while making the process more sustainable. At the same time, the error rate while filling out the forms reduced substantially. The mobile app, leading salesmen through the whole process of the conclusion of the acquisition contract, manages to standardize the business processes as a whole. And the necessary filling out of forms became easier and more enjoyable to salesmen. The web application allows clients to deal with their matters in e-form, without the need for paper contracts or the need to visit their local branch in person. The next phase will implement the possibility of contract intercession or the change of clients’ current products. And more processes will be integrated to our solution over time. The solution was among the finalists of the IT Project of 2017 competition. And it dominated the Energy and utility category in the 2018 Internet Effectiveness Awards.